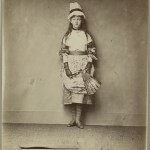 Lewis Carroll (Charles Lutwidge Dodgson), “W. 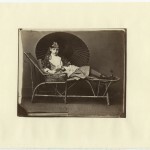 L. Dodgson,” 1869. 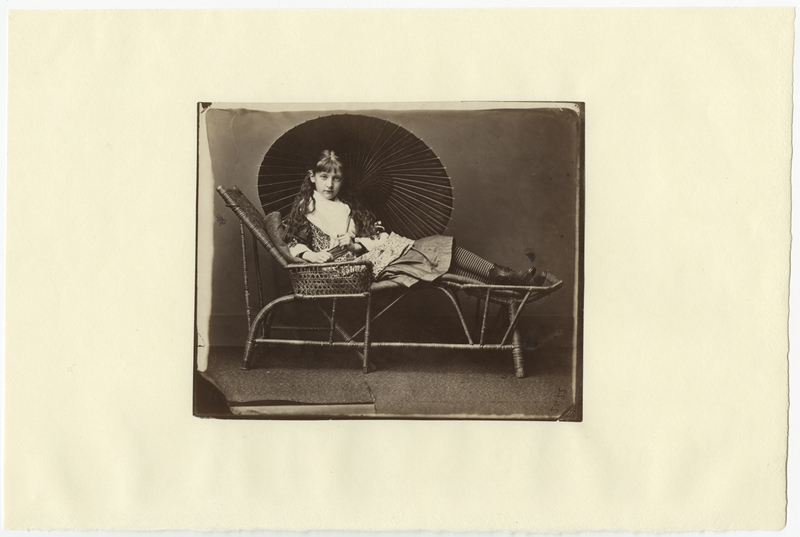 Albumen print, 7.5 x 6 inches. Gernsheim Collection. 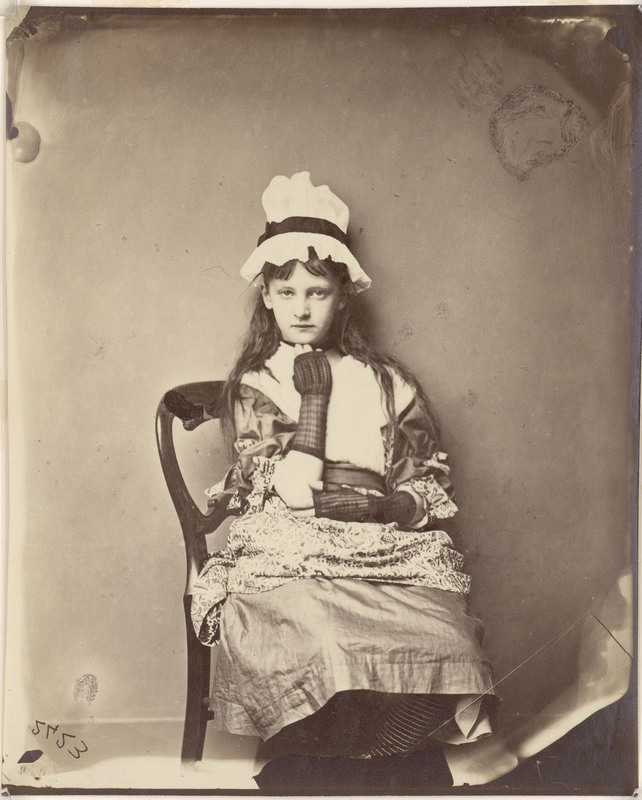 On Tuesday, March 10, at 4p.m., Roy Flukinger, Senior Research Curator of Photography, speaks about the photography of Charles Lutwidge Dodgson—better known to the world as Lewis Carroll. Flukinger will discuss Dodgson’s pursuit of photography and his recognition as one of the most accomplished amateur photographers of the Victorian Era. The program, presented in conjunction with the Ransom Center’s current exhibition Alice’s Adventures in Wonderland, is free and open to the public. Seating is first-come, first-served, and doors open at 3:30 p.m.
Of course I left something behind—always do: this time it was my album of photographs (and autographs). And we also forgot to get your names written in it. 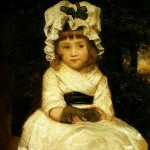 So will you please turn 2 or 3 pages on after ‘Mary Millais,’ and then sign your name in the same place in the page as she did, only about half an inch lower down, and then get Mary, Bertha, and Kate to do the same thing in the 3 following pages. And then will you send it by train to Croft Rectory, Darlington. Thank you—much obliged. Dymphna followed Dodgson’s instructions and returned the album, which Dodgson titled Photographs Vol. III. 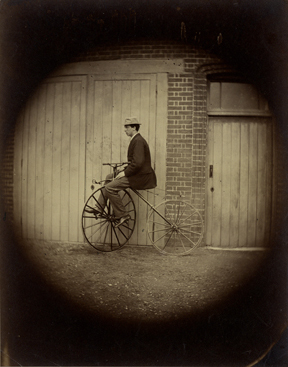 One hundred and fifty years later, it is one of five Dodgson albums held in the photography collection at the Harry Ransom Center. 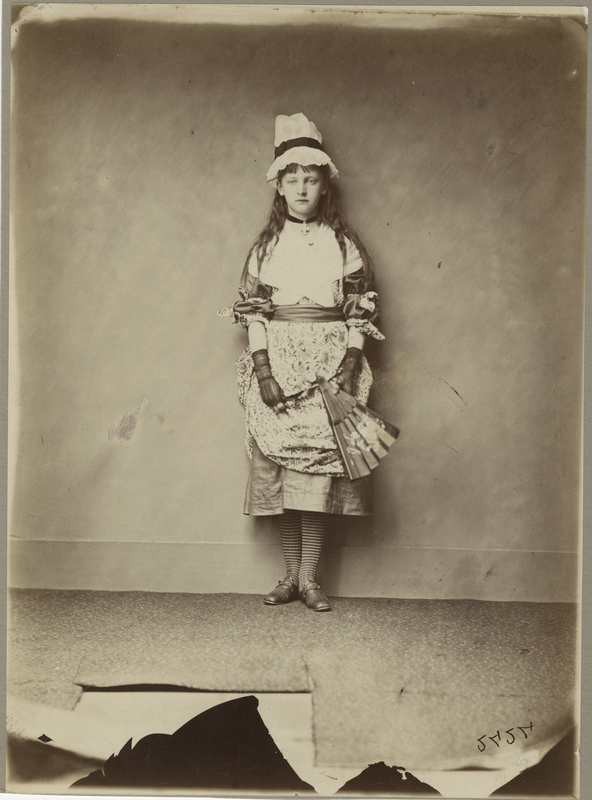 Dodgson carried his albums with him on visits to friends and family, using them not only to show off his photographic work, but also to help him persuade parents and their children to pose for him. 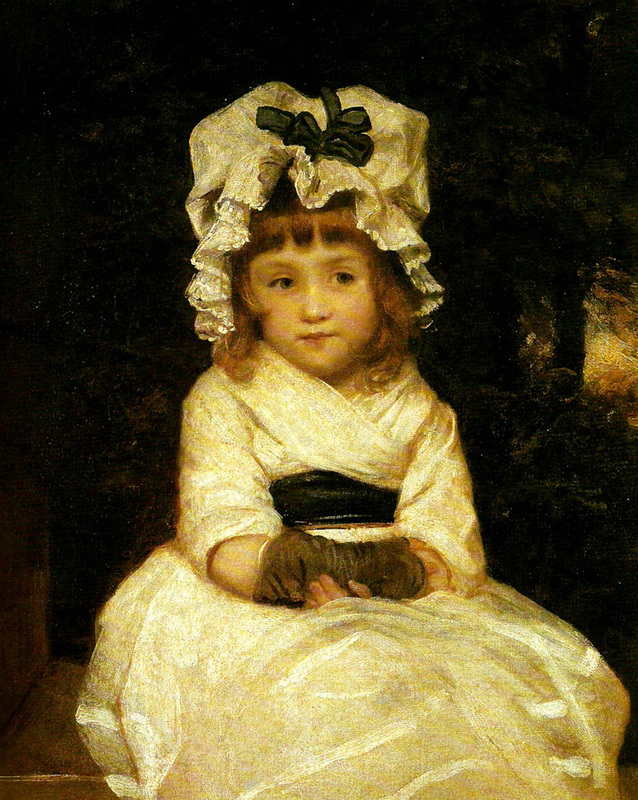 The letter to Dymphna Ellis reveals Dodgson’s method of collecting signatures on blank leaves of albums when he made the portraits. He then packed away the albums and negatives and returned to his darkroom to make the albumen prints, pasting them to the appropriate album pages. Photographs Vol. 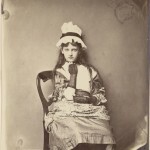 III contains more than a dozen pages bearing a signature but no mounted photograph, suggesting that the photographer did not always secure a final portrait that met his expectations. Dodgson’s albums offer crucial information about his working process but also provide a tangible record of his artistry. Like his diaries, they also reinforce the record of his travels and his interactions with numerous acquaintances throughout Victorian Britain. And, perhaps most critically, they subtly provide us with a deeper and more richly nuanced portrait of the man himself. The Ransom Center’s exhibition Alice’s Adventures in Wonderland is on view through July 6. Share with #aliceinaustin. 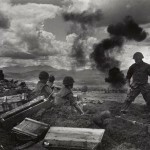 The Ransom Center holds the archive of American photojournalist and author David Douglas Duncan, including his images of World War II and the Korean and Vietnam wars. 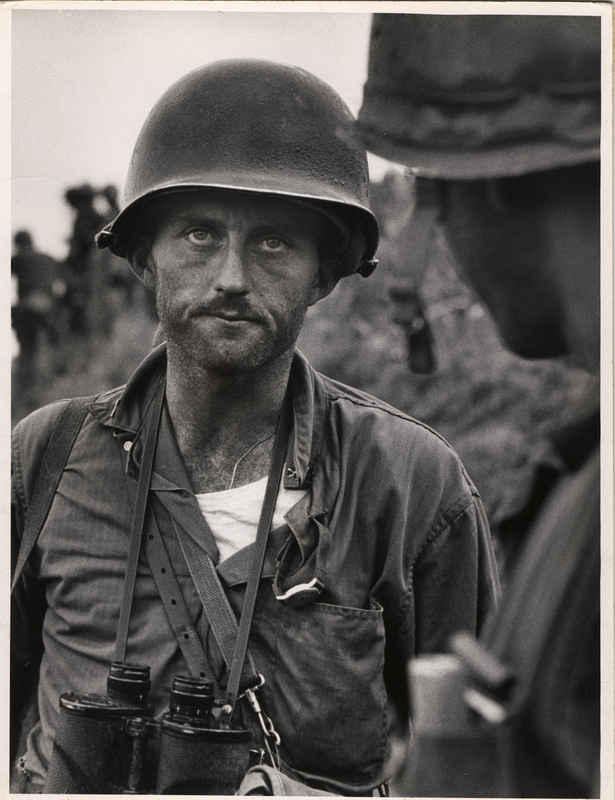 In honor of Veterans Day, Ransom Center Research Curator of Photography Roy Flukinger asked Duncan about photography, being a Marine, his experiences as a combat photographer, and his prediction about the next generation of war photographers. Below are Duncan’s responses, submitted in writing from his home in France. So many of today’s photojournalists are civilians with media credentials. In contrast, during many of the conflicts that you covered, you were a Marine, first on active duty and then as a veteran, working as a combat photographer. How would you characterize the critical difference this has made in your photography and in working with military personnel? As a Marine I always worked alone, my notes for every shot plugged into my memory—never a notebook. 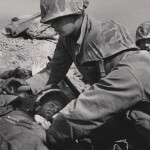 All of the guys around me were Marines, and, as we all knew, if one got zapped, other vertical guys would somehow get you out—to be patched up or shipped home. Today, much of the memorable coverage has been shot by amateurs with cell phones, not Washington/Army “implanted” pros—think Abu Gharib. You wrote in This Is War! that “There is neither climax nor conclusion to this book.” And you repeated the phrase in the foreword to your Vietnam book, War Without Heroes. Having now completed decades of covering numerous conflicts throughout the globe, would you say that the same statement is appropriate to describing all wars and that future combat photographers will also find it impossible to tell the whole story? There is no “whole story” in combat photography—only fragments of each moment that sometimes/often seems like eternity… and in that jungle, on that strip of obscene discolored far-from-home sand, the Marine at your shoulder is your only relative in that world—unlike no other but still precious and even long-loved by those who survived to come home to the world where almost every combat Marine is often a stranger even among his own family and friends… and then, confined to a veteran’s bed where the nights were often worse than that sandy beach or sodden jungle fox-hole where it was still possible to dream of everything, including tomorrow. 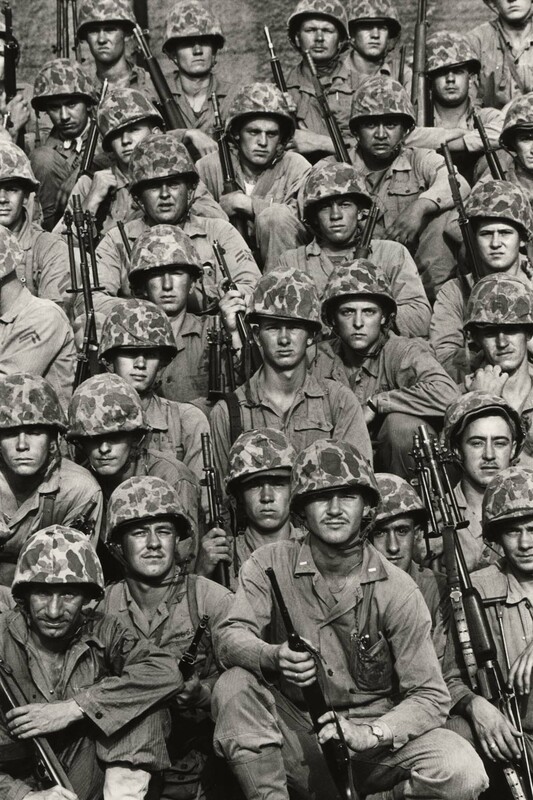 The men who fought the battles, who lived and died, who shared the service alongside you are clearly more than just the subjects of your camera. When we hung your exhibition and looked through your books you frequently recalled their names and shared many anecdotes about them. And the ones I met certainly remembered you. Is this a special relationship that is shared between veterans, that goes beyond just the basic reportorial dimensions of your picture stories? One would doubt that other lives are so enriched as those of the Marines who were my combat friends…. yet, say among many lifelong career pros, the Formula One race drivers where everything can explode in fractions of a second… where they are wheel-to-wheel at 300 kilometers-an-hour and sure of the other driver’s professionalism and nerves under constant lethal pressure… yes, there must be other lives similar where the risks and lifelong friendships could well be similar to those of veteran Marines. You revolutionized your field with the adoption of Nikon lenses and later technological advances.Have the digital and electronic changes we have witnessed in the last generation of photojournalism made it easier or harder to tell the story of war correctly and fully? Digital cameras/smart phones even iPads, as seen everywhere, among tourists, children, hobbling ancients, workmen everywhere reporting back to control offices somewhere faraway—everybody is a photographer today. No sweat—and many among that digital-loaded horde are very, very good photographers, having fun—their generation/taking it for granted and surely filling souvenir books at home sometimes/possibly often holding masterpieces. You have already provided us with a lifetime of words and photographs on the subject. Are there other aspects of the story of war that you might wish to see the next generation of combat photographers address more completely on future Veterans Days? 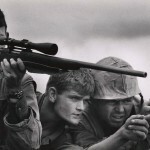 The next generation of war photographers? ……drones! David Douglas Duncan. 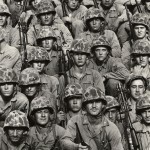 “Members of the 1st Marine Division on arrival in Pusan, Korea.” August 2, 1950. David Douglas Duncan. 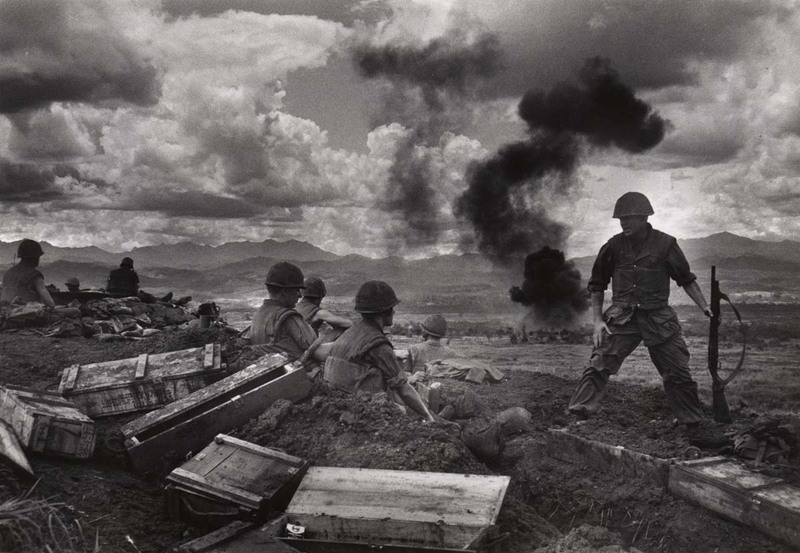 “From the heights of Con Thien, the U.S. Marines of Mike Company look down upon the DMZ during daily fighter-bomber attacks on the enemy.” Vietnam, September/October 1967. David Douglas Duncan. “U.S. 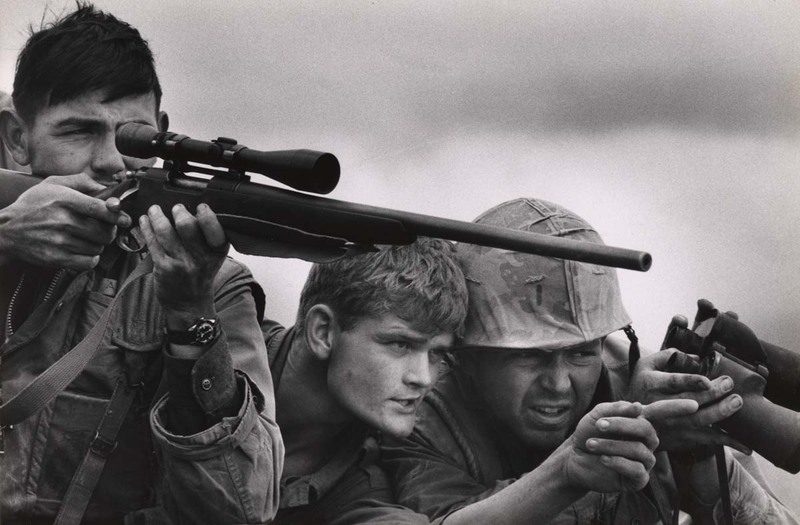 Marine snipers work closely in three-man teams.” Khe Sanh, Vietnam, February 1968. David Douglas Duncan. 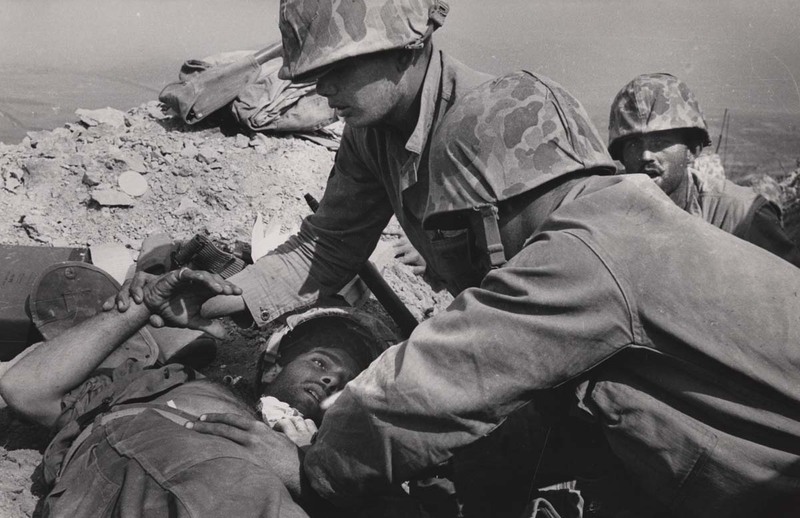 “A fallen U.S. Marine is given aid for his wounds and comfort by his comrades.” Korea, 1950.